BOSSIER CITY, La., June 14, 2017 – McElroy Metal announced the download availability of its updated company product catalog. The 36-page catalog features the entire McElroy Metal line of construction products and components for the architectural metal construction industry. The new catalog includes detailed information on the 138T and 238T symmetrical standing seam roof recover systems as well as engineered retrofit systems that adapt an existing roof’s structural support system, whether constructed of steel, concrete or wood. Among the other newer company offerings featured are insulated metal panels under the name of Green Span Profiles, a joint venture IMP manufacturing company. 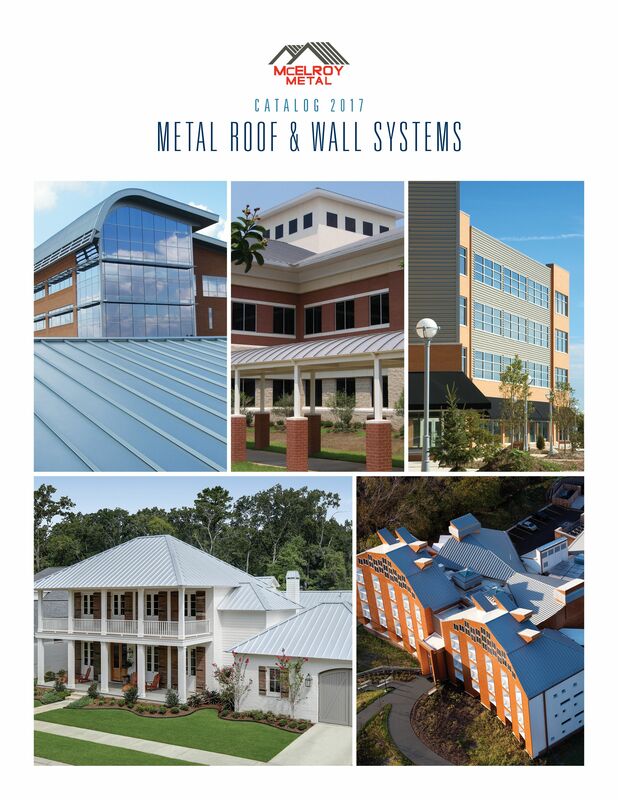 Furthermore, the catalog highlights the company’s proven standing seam systems, concealed fastener wall panels, exposed fastener roof and wall panels as well as soffit and fascia offerings.